Comment: looking to install 2 slabs, on a small storage building slab that is 11 feet by 7 feet this would be smooth troweled. the 2nd slab would be the main patio and would be 25x19 and we would like this stamped and colored. Comment: I have about 200 sq feet total area, I will also need it to be prep out or tell me how to have the area prep out. Comment: We'd like to build a 3-4 foot high retaining wall approx 120 feet long, down the length of our property line, connecting to another new wall about 50 feet wide. We're not looking for a fancy looking wall, just the basic concrete blocks or even solid concrete if it makes more sense - we're open to suggestions. Comment: I would like to have a slab poured in my driveway as now it is just grass and some gravel. The slab would be approximately 16' x 35' and would be looking for a lightly brushed surface. There would need to be some leveling work as our vehicles have made ruts in the driveway. Comment: I have a dirt drive way I would like to pave as well as some stairs I need replaced. There are also walkways and retaining walls that Iâd like made. Comment: I'm looking into adding a 10 x 13 foot patio in my backyard. I think I want stamped concrete but am open to options. Everett Concrete Contractors are rated 4.66 out of 5 based on 1,090 reviews of 59 pros. 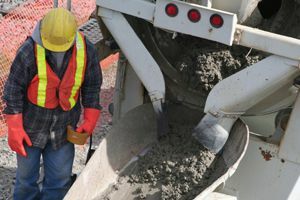 Not Looking for Concrete Contractors in Everett, WA?